If you are married, you ought to show some signs! Although the signs should be clear in your conduct and conversation, the wedding ring is special. It is a “UNIVERSAL SIGN to the outside world that the wearer is committed to another.” This topic has come up more than once in my conversations this past week. The question is; “Why would a married person NOT want to wear their ring?” Let’s talk about the significance of the wedding ring. 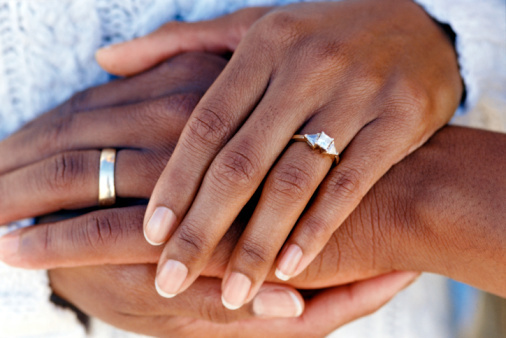 Why should a married person wear their Wedding RING? R = Reminds you and everyone who sees you that you are married. Even though there are some women and men who don’t respect the fact that you are wearing a ring, you should make the visual statement (“I am married”) by wearing your ring. I = It’s immediate identification. As soon as someone sees you and they see your ring, it lets everyone know that you are connected and in covenant relationship with your spouse. In a covenant relationship, the ring symbolizes transfer of authority, strength, and protection. (Esther 8:2). The ring immediately identifies you as somebody’s wife/husband. G = God is pleased when you wear your ring. When God made a covenant with Noah, He put a rainbow in the sky as a continual reminder. “I have set my rainbow in the clouds, and it will be the sign of the covenant between me and the earth.” (Genesis 9:13) Married people should wear their rings as a continual reminder of the covenant that was made with God and your spouse. In addition, a ring is usually made of a durable precious metal that was meant to last for ever. It’s circle shape has no beginning or end and is a symbol of infinity. The circle is endless and represents endless love. According to research, wedding rings are worn on the fourth finger of the left hand because the vein in this finger was believed to lead directly to the wearer’s heart. If you are married, please wear your wedding ring! Did you know that you can win some battles WITHOUT A WORD? I know that we have been taught that communication is key in a healthy relationship however, you don’t always have to use your words to get your point across. This week’s post is all about the “WITHOUT A WORD” principle found in I Peter 3:1. “Wives, likewise, be submissive to your own husbands, that even if some do not obey the word, they, without a word, may be won by the conduct of their wives, . . . Although we can all put the “WITHOUT A WORD” principle into practice, this message is especially for married ladies who feel that they have to teach their husbands a thing or two. I know this principle works because, I have put it into practice many times. I have to admit, it is not always easy to apply and sometimes, it takes awhile before you see results. You have to be consistent. This principle can be a challenge because, sometimes you feel the need to say exactly what you want to say, when and how you want to say it. If the way that you express yourself is offensive to your husband, you are not going to win. Sometimes men will change for the moment just to get you quiet. However, when you use the “WITHOUT A WORD” principle, God moves and creates a lasting change. 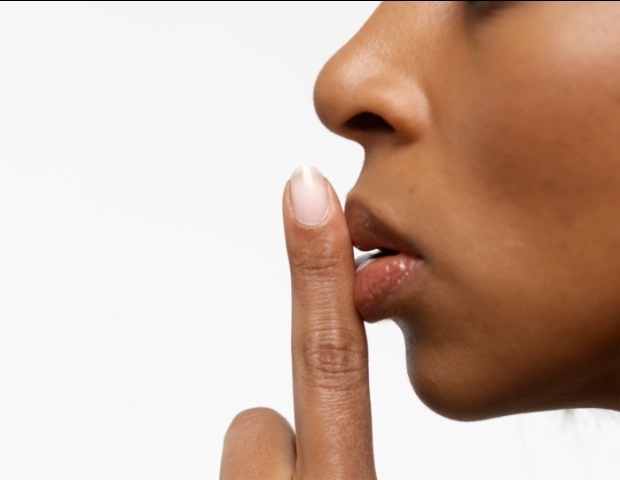 Is it time for you to shh? If so, I pray that you would ask God to help you to conduct yourself in such a way that brings glory and honor to Him! Let the Lord use you! Shh! Try something different, spice it up, and keep your marriage fresh! Are you a married woman who lives in the D.C., Maryland or Virginia area who is interested in taking a class to solely focus on your role as a wife? Being a wife is a wonderful honor, and God wants you to be the best wife who you can be. Maybe you are not a married, but you have a girlfriend or family member who is married and lives in the D.M.V. This week’s post is all about the Marriage from A to Z Focus Study that is getting ready to start in one week. Get Ready, Get Ready! I am so excited! There are a few spaces available so I want to share. I facilitate this class every other year and would not want anyone to miss this opportunity. The Marriage from A to Z Focus Study is a 7 week class that starts on Wednesday, March 6, 2019 at the First Baptist Church of Glenarden in Gleanarden, Maryland. The last day of class will be April 17, 2019. The course will be held for 7 Wednesdays from 7:00-9:00 PM. Registration is taking place now and is only $15.00. You will meet other wives, learn how to have a closer walk with God and your husband, be given biblical principles that will help strengthen any marriage relationship. Where else can you get a quality teaching on being a wife for $15.00? Proverbs 18:22 says; “He who finds a wife finds a good thing, and obtains favor from the Lord.” It’s hard to be a good thing if you have never been taught how to be good. Being a good thing takes prayer, hard work, skills and intentionally applying biblical principles. Time is running out! Register today. Happy Valentine’s Day everyone! Although we should show love everyday, today is a special day to celebrate love. As I think about love in a marriage or love in any good relationship, these words come to my mind; “Teach me how to love!” This is a prayer to the Lord, have you ever asked God to teach you how to love? 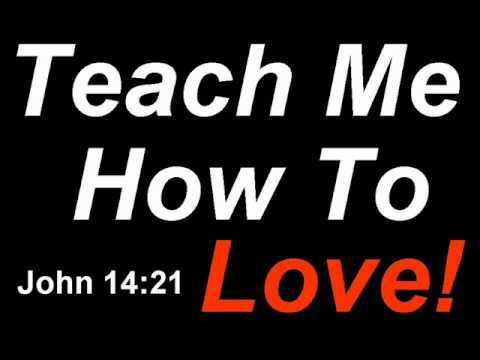 In John 14:21 God tells us how to love him. He says; “Whoever has my commands and obeys them, he is the one who loves me. He who loves me will be loved by my Father, and I too will love him and show myself to him.” In other words, Jesus wants us to show our love for him by obeying him. It’s nice to say; “I love you!” However, love is more than lovely words; it is commitment and conduct. Love is an action word. If you love Christ, then prove it by obeying what he says in his Word. Commitment and conduct are key words to demonstrating our love. When it comes to marriage and other relationships we must go to God to get love and to give love. God teaches us how to love each other (See I Corinthians 13). When you feel like you have given all that you can give you must go to Love (God) and get a fresh supply. God has an unlimited supply, and he freely gives us love. The point that I want to make this week is that it is important for us to understand how to love one another especially, in a marriage relationship. When a spouse feels like their love tank is low or empty, problems will arise. As a spouse, our goal should be to help keep each other’s love tank full. If you are going to fill your spouse’s love tank, you have to know how. I have three suggestions: First, spend daily time with God so that God can fill your love tank. If you are going to be a good lover, you should spend daily time with Love (God). Second, ask your spouse what makes him/her feel loved, and do your best to love them that way. Third, pray and ask God to teach you how to love your spouse and listen for the Holy Spirit to speak. God knows your spouse better than your spouse knows his or her self. He will tell you things to do or things to say that will speak love to your spouse. God’s Holy Spirit is the best love teacher! Conflict doesn’t feel good, but it happens! Do you deal with it or avoid it? When it happens, there are a few things that can be done to help cure the conflict. God has a cure for every conflict that we have. Sometimes we will not see eye to eye on a given situation. Cast your cares, concerns and conflicts on the Lord. He can handle it! Your conduct is your personal behavior or the way that you act. We have conflict when we come into a collision, clash or disagreement with someone. It can also mean you are in a battle, fight or just struggling with someone or something. Think about the last conflict that you had, how did you handle it? What was your behavior? Your answer to this question is important to God. He already knows how you conduct yourself. We know that God is omniscient and omnipresent which means that He has complete, unlimited knowledge, and that He is present everywhere at the same time. God sees the way that you respond, talk and treat others in the midst of the conflict. So if He were to grade you on how well you conduct yourself in the midst of conflict what would your grade be? I think many of us can look for ways to earn a higher grade. 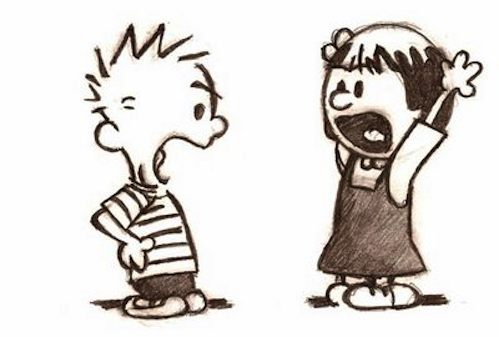 One of the first lessons that I learned when having conflict in my marriage is that it is not okay to behave anyway that I want, when I am angry. Cursing, name calling, physically fighting, not speaking for days is not okay with God. Two verses that have convicted me about my behavior is: I Corinthians 13:4-6 which says; that love suffers long and it is kind. When you are in the midst of conflict, you may feel like you are suffering and maybe you are. Suffering for a long time and being kind do not go together in the human mind. However, with God, we can suffer and still be kind! I am a witness! This passage goes on to say that love does not behave rudely. This means, you don’t have permission to be discourteous, impolite, rough, harsh or ungentle. God knows that there are people and situations that will make us angry however, his word says; “Be angry and do not sin”: do not let the sun go down on your wrath (Ephesians 4:26). This verse has taught me that it is okay to get angry, but we have to control our behavior so that we do not sin. It also tells us not to carry the anger to bed, let it go. Sometimes you have to agree to disagree and be okay with it. Next week, I will continue to discuss dealing with conflict. Today, I want to encourage you to spend some time examining your conduct. Pray and ask God if He is pleased? Be intentional about displaying better behavior in the midst of your conflicts. If your answer is yes, what kind of score are you keeping? Is it a positive score or a negative one? Just like with any sport there is a scorekeeper, we tend to keep score in our relationships and in marriage. As we strive to maximize our marriages in 2019, I want to encourage you to keep a positive score. This simply means focus on the positive things about your spouse and marriage, not the negative. 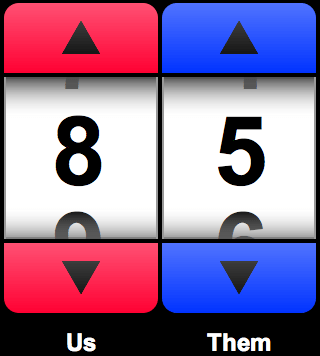 A scorekeeper is very attentive to the game and to the players. He or she tracks the positive and the negative. They are known to keep track of a players statistics such as; the number of rebounds or shots taken (positive). On the other hand, a scorekeeper also tracks a players number of penalties and fouls (negative). As a scorekeeper in marriage you can keep track of the positives or the negatives of your spouse. You may be thinking, I don’t keep score and that’s fine. However, one of the things that will keep you appreciative of your spouse and help you to have a happy marriage is reflecting on the positives. Have you every heard the term “brownie points?” Brownie points are points that one gets for doing something good or for earning favor in the eyes of another. When your spouse does something good or something that you appreciate, don’t take it for granted. Take time to say thank you, show appreciation and in some cases give a reward. Choose to focus on the good instead of the bad, the positive instead of the negatives. Every spouse has some good points, affirm them. Thank God for the positives and make a commitment to pray about the negatives. Focusing on the negative points will make you dissatisfied with your spouse and unhappy. God doesn’t do that with us and we shouldn’t keep negative scores. Psalm 130:3 says, “If You, Lord, should mark iniquities, O Lord, who could stand? Our God is the best scorekeeper. He sees our positives and our negatives and still loves us regardless. Praise God He doesn’t hold our negatives against us. If you are going to keep score, keep track of all of the positive points and release the negatives. Focusing on the good qualities and giving positive points add up to a happy marriage! Happy New Year! This is my first post for 2019. We are 15 days into the new year, and I am sure you have thought about things that you want to accomplish. Hopefully, you have set some goals and made a list of things that you want to accomplish. Perhaps you even have a prayer list for 2019, many have started the year with prayer and fasting. If you are married, I have a question for you; “Is your marriage on your prayer list?” My marriage certainly is, and as I thought about what I would like for God to do, I could sum it up with one word, MAXIMIZE! The dictionary defines Maximize as; to increase to the greatest possible amount or degree, to make the greatest. Lord please maximize my marriage! Make it what you want it to be, make it better to the greatest degree. Anybody with me on this one? Matthew 7:7 tells us to ask God! I love acrostics so lets break down the word Maximize to get some action steps for 2019. Have you ever heard someone tell you something that they have gone through and when you see them, you would never have known? I was just making this statement about my 16 year old son who had an issue with his heart and in November 2017 he had surgery. It was a 6 hour procedure, but God corrected the problem and brought him through. When you see him, you would never know. Like my son, there are so many people who can testify about how God has brought them through something major and you would never know by looking at them. Why is that? As we prepare to close out 2018, let’s reflect on the goodness of God and his many attributes. The reason people can go through major situations and don’t look like it is because our God is a keeper, healer, sustainer, protector, provider and so much more. I could go on and on, but I think you get the picture. God preserves us in the midst of our trials, tribulations and situations that could totally take us out. It’s almost like He puts you in a jar with all of the necessary ingredients to preserve you. Some times we face issues with our health, family, marriage, relationships, finances or on our job that could have destroyed us but God. You may be going through something right now but be encouraged! God is with you and He will keep you. You too, will be able to tell of his goodness, and people will say, “You don’t look like what you have been through, I would have never known.” Be intentional about telling of God’s goodness! Somebody will be blessed, encouraged or strengthened by your story.